Last year, the Trump administration cut millions of dollars in aid to the Palestinians. 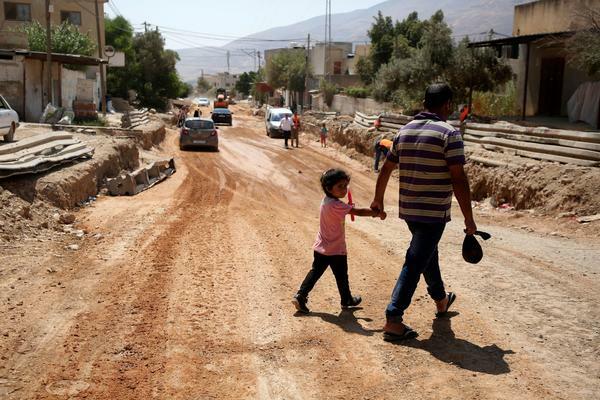 Now, in about two weeks, the U.S. plans to shut down its Palestinian humanitarian aid programs, abandoning infrastructure projects already underway. NPR's Daniel Estrin reports from the Israeli-occupied West Bank. 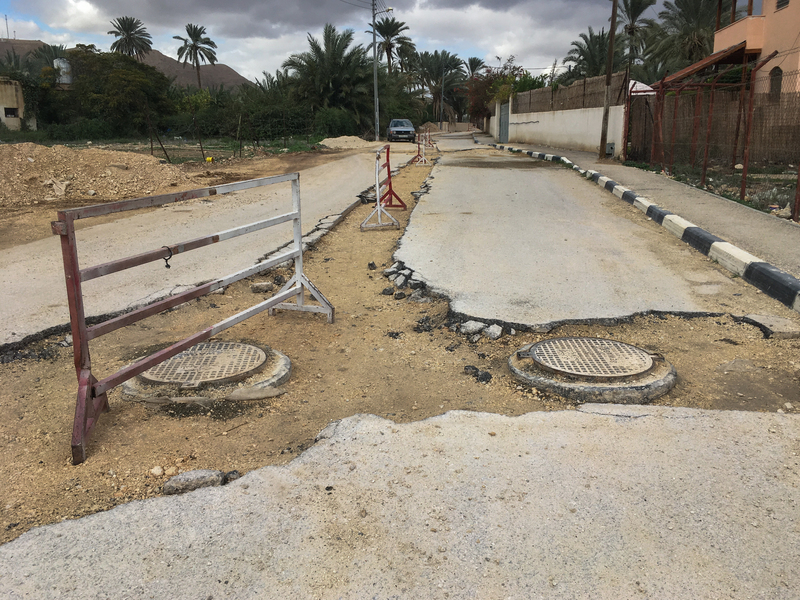 DANIEL ESTRIN, BYLINE: In the city of Jericho, most sewage goes untreated, so the U.S. Agency for International Development started building a sewer system. A Palestinian engineer, Ehab Njoum, showed me the dug-up roads where USAID installed pipes. EHAB NJOUM: The project cannot be completed, and the sewer - it cannot be connected. ESTRIN: It's because of a new U.S. law signed by President Trump in October. If Palestinians receive U.S. money, they could be forced to pay hundreds of millions of dollars in compensation to families of American victims of past attacks. The Palestinian Authority says it fights attacks and won't accept the money under those terms. So all USAID programs for Palestinians are slated to end February 1. U.S. officials say the sewer system, which costs around $10 million, is mostly done, but it'll be left unfinished. ESTRIN: In June, the engineer broke the news to Ola Saeed (ph), whose accessories shop is on the torn-up road. She'd been waiting for the sewer to be finished. OLA SAEED: (Through interpreter) I wish they never dug. I wish they never said they would do something. At least we would have had clean roads. ESTRIN: Jericho's mayor, Salem Ghrouf, says his city really needed that sewer. SALEM GHROUF: (Speaking in Arabic). ESTRIN: Most Palestinians in the city have private sewage pits next to their homes. And he says there's a risk that untreated sewage can contaminate groundwater. According to documents reviewed by NPR, U.S. officials tried to work around the new law to get money to finish the sewers and six other major school and water projects in the West Bank and Gaza. But according to the documents, the White House said no. A White House spokesman did not comment, but critics did. DAVE HARDEN: I think to leave it just unfinished is a stain on American credibility. It seems irresponsible. It seems petty. ESTRIN: Dave Harden oversaw U.S. aid to the Palestinians under the Obama administration. He said aid projects aimed to help create economic opportunity, alleviate suffering and help prepare the Palestinians for a future state. Now he says..
HARDEN: USA is frankly irrelevant in the West Bank and Gaza. And that's a shame because the United States can be and should be a shining beacon. ESTRIN: Current and former U.S. officials say these projects were the last of the U.S. humanitarian aid for the Palestinians. The administration already cut more than half a billion dollars in annual aid last year, in part to pressure Palestinian leaders to cooperate with the U.S. on a peace plan it says will come in the coming months. In Jericho, U.S. officials are preparing to pave the roads over the new sewage pipes, leaving them disconnected. Daniel Estrin, NPR News, Jericho. Transcript provided by NPR, Copyright NPR.